AMSOIL DB40 Dirt Bike Oil is engineered to deliver the performance attributes most requested by on- and off-track dirt bike riders, including consistent clutch feel. Consistent clutch feel is the result of “friction durability,” so whether deep into a race or deep in the woods, riders can feel confident their clutch will perform from start to finish. AMSOIL-exclusive advanced chemistry provides outstanding engine reliability for worry-free operation under severe conditions. AMSOIL INC., the premier manufacturer of synthetic motorcycle lubricants, focuses on improving lubricant performance so riders can focus on improving their performance on the trail or track. 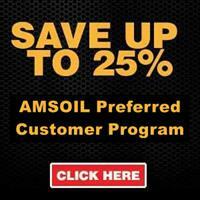 That's why AMSOIL is the Official Oil of Monster Energy Supercross, AMSOIL Arenacross and the AMSOIL GNCC.